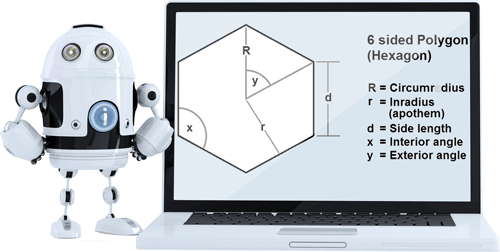 Use this advanced math calculator to calculate the properties of a polygon. You can refine the calculations by controlling the number of decimal places that the calculator calculates to. The default is 4 decimal places.